We are please to announce that the new Walberswick Ferry, Boy Charlie, will be launched in Walberswick on Saturday 8th July 2017 at midday. A blessing will be performed prior to the launch. 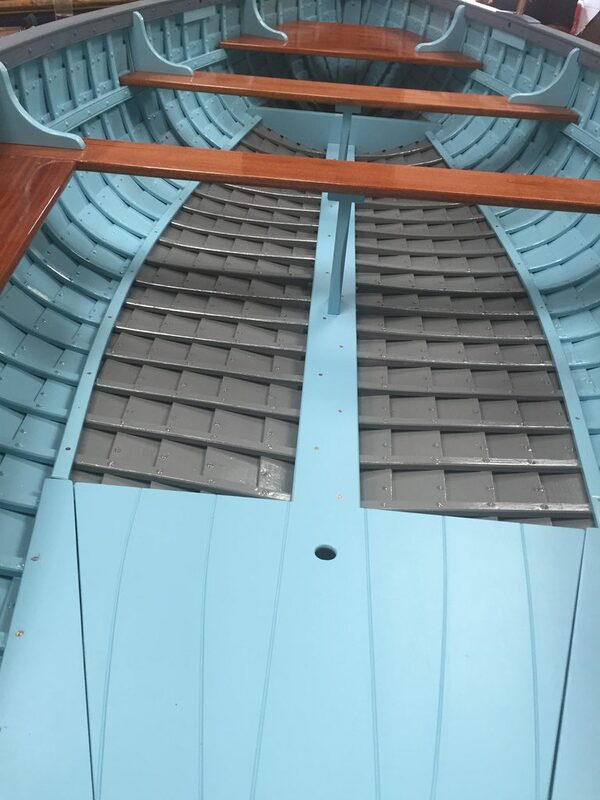 Commissioned by Dani Church in 2016, IBTC Marine Services in Oulton Broad, Lowestoft has been working since the beginning of the year on the building of an exact replica of the Walberswick Ferry, Halcyon Days. The first stage was to take lines from Halcyon Days which provided an excellent opportunity for students to learn. 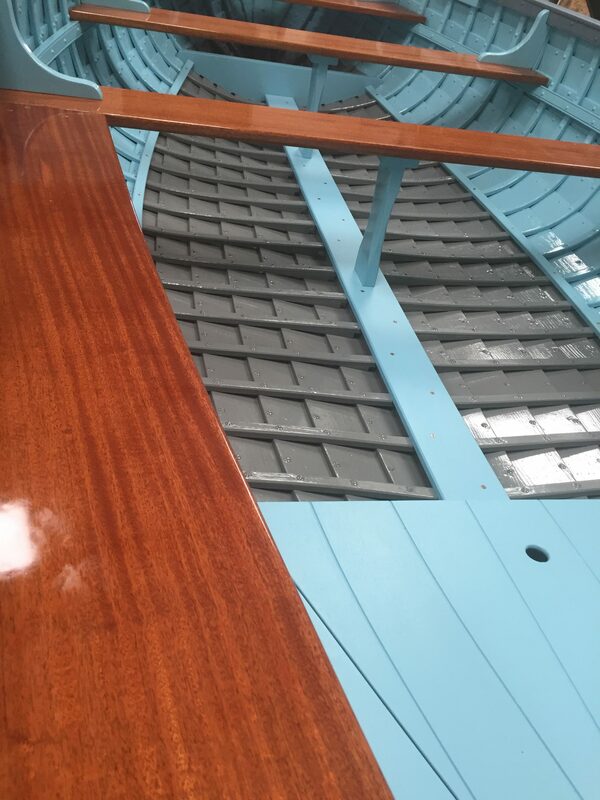 IBTC Lowestoft – Marine Services boat builders Lewis Philips and Seb Scarr, from Norfolk and Suffolk, have skilfully built Boy Charlie and the beautiful finishing work has been carried out by our painter and varnisher, Sharon Vingoe. 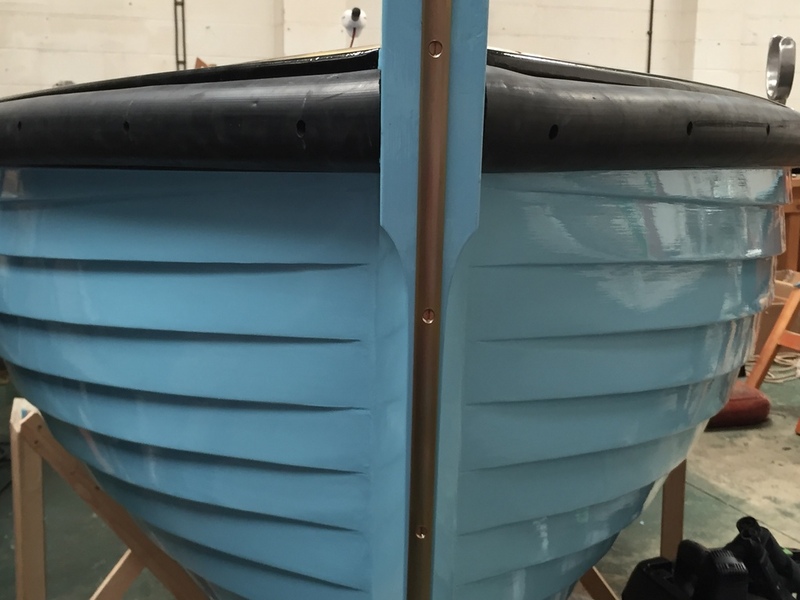 We are delighted to have the opportunity to build a new boat for such a well loved and historic local service. The build has generated a great deal of local interest and was featured on BBC Look East earlier this year. The tradition of a ferry across the River Blyth between Southwold and Walberswick dates back to 1236. Many boats have plied this route over the centuries and a new one has just been commisioned by Dani Church the current ferry woman, to replace ‘Oud Bob’ a clinker built Suffolk punt which is going into retirement after 60 years of service. Oud Bob was her Great Uncles Bobs boat named after his father, also called Bob, who was indeed a ferryman too. In fact Dani’s family have been working on the ferry since 1891. At present the boat Oud Bob works alongside Halcyon Days which was the boat her father had built in 1996. The new boat which has been built by IBTC Lowestoft – Marine Services, based in Oulton Broad, is a copy of Halcyon days. These boats are slightly wider in the beam than Oud Bob making them more stable and carry an extra three passengers in addition to the usual cargo of bicycles, dogs ,children and buggies. 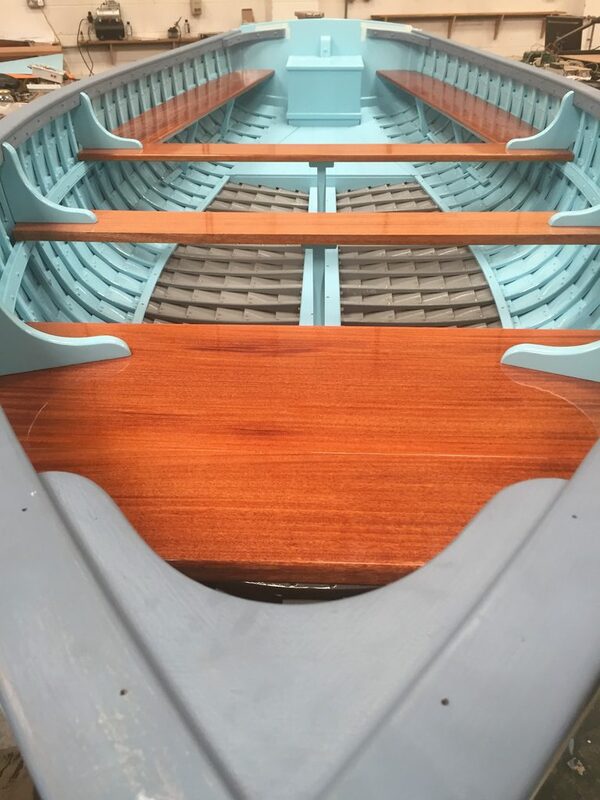 She has been built of Larch on Oak, over the winter and spring at IBTC and will be called the ‘Boy Charlie’ after Dani’ son and will be launched at Midday on 8th July at Walberswick.